Even though most of the teams are already busy preparing for the 2018 campaign, there was still some left over business from last year as the OSCAAR Modified drivers and crews gathered together on Saturday, February 3 to honor everybody for their accomplishments. Since their inaugural campaign five years ago, the OSCAAR Modified have seen steady growth on a yearly basis, becoming a staple in Ontario’s racing scene. The 2017 campaign saw numbers hit some new record highs, with 44 different competitors running at least one event over the course of the year. The car counts on a weekly basis increased, too, with an average of 17 cars at each of the 11 events. 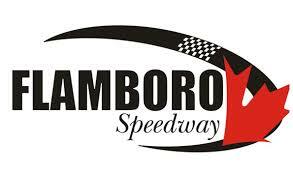 The series saw their most impressive numbers at Kawartha Speedway (23), Sunset Speedway’s Velocity 250 (21), and a full field of 24 entries for Peterborough Speedway’s Autumn Colours Classic. With six heat wins and a pair of feature victories, it was Luke Gignac leading the way for his fellow drivers over the year en route to being crowned the series champion. “I want to thank Allan and Diane for the great opportunity to race for them,” Gignac said. “You have to thank all of your sponsors. I want to thank Dave and the crew as they do a great job so we get to race every weekend. Honestly, I don’t have a lot to say. I want to thank Fox’s Bakery and Top Shops – they’re not only great sponsors, but they show up at the banquet which is pretty cool. Gignac wasn’t the only driver to visit victory lane, with six different drivers scoring feature wins throughout the course of the season. As a result, there were lots of awards to hand-out at the banquet for everyone. As the highest finishing rookie, Dale Reinhart took home the Rookie of the Year Award. Known as the gentleman of the series, Gary Elliott wasgiven the recently named Don Hawn Sportsman of the Year Award. Elliott was also presented a jacket from the series, in honor of entering his 50th year of competition in 2018. “What an honor it is to finish in the top-five, anytime,” Elliott said. “Winning a championship is huge and we’re gotta do that next year. We’re working on it now for our 50th season. We’ve already started working on the car. You can have the fastest car, but really, it’s about being consistent and having a good crew, and I want to thank the guys for being such great supporters. I want to thank all the guys in the OSCAAR division for helping when I needed help. Elliott also took time to present his Ironman Award, which is presented to “the driver that overcame and faced adversity throughout the year to always be at the race track.” The requirement is you must have 100% attendance, and never give up despite any adversity faced. “The winner in the modified division – he gave up almost every three weeks, because things just never went right for him,” Elliott spoke of the winner. “I admire him because over the years, I have watched him race and he’s a champion. Listen, champions get discouraged too; it doesn’t make it any easier because you win. It doesn’t make any difference; the only way to be a champion is to be there every week, and when you understand over the course of 20, 30 years that you’ve been racing, and you see that ran against 20 guys every year, not every person can win a championship. But we can all race our hardest and the most important thing we can do. Despite having adversity on multiple occasions throughout the season, Tolton was able to score five top-10’s along the way. The Best Appearing Car Award was presented to the 2017 series runner-up A.J. Emms, as the No. 14 Modified team got it for the second straight year. “First of all, I would like to thank everybody involved with OSCAAR,” Emms said. “This is a big organization, as you can see from all the people that we are sitting next two, and you should all be proud of yourselves for how each team not only contributed to the brand of OSCAAR and making it this whole show go, but all those little accomplishments throughout the year. Racing is a big commitment, and I know each team has put in a lot of work. Aaron McLean certainly didn’t have the rookie year he was looking for, which led to him being given the Hard Luck Award. On the flip side, both Cory Horner and Chris Milwain were impressive in their own right, scoring multiple feature victories en route to top-five year-end points rankings. As a result, both drivers were given the Most Improved Driver Award. With a solid season, OSCAAR is now putting full focus towards the upcoming 2018 campaign, which should be filled with great racing, lots of competition, and fun across the entire province of Ontario based on early indications. As of right now, there are over 40 drivers registered for the Modified division. Be sure to stay tuned to the OSCAAR website for details leading into the season.